Hawaii could be a perfect place to live for people with allergies to continental trees and grasses. Yet, it has myriads of flowers and tropical trees blooming all year around. The State of Hawaii has the second highest childhood asthma rate in the nation, with 10.8% percent of children ages 0-17 diagnosed with asthma. This is mostly caused by Hawaii’s topical climate which makes for abundant vegetation, pollen, high humidity, dust mites, dust, cockroaches, and outdoor living. One of the largest issues is outdoor mold. While in cold climates mold usually send their spores airborne from May through October, in warm and humid Hawaiian climate molds could persist throughout the year. Inhalation of mold spores could lead to sneezing, asthma, itchy and watery eyes. The symptoms may become worse for people eating cheese, mushrooms, soy sauce, dried fruits or vinegar. Other issues could be dust and pesticides from the cane fields. The worst months in Maui are May to November, especially mid-May to August because of the wind pattern. Residents could also suffer from smoke coming from burning crops or garbage (combined with high winds) and polluted air due to high car traffic. Big island and Maui, to some extent Oahu, are also exposed to sulfurous odor coming from active volcanoes. Kauai is the best place for those who can't tolerate volcanic air. Yet Kauai and Hilo side of the Big Island could be the worst place for other types of pollen allergies as they have the wettest climate. Oahu has very high mold levels too, although it could vary from place to place and depend on the exposure to indoor mold. You can check current pollen, dust and dander levels here. I moved to Hawaii four months ago and my allergies have been the worst in my life since moving here. With so many flowers and fruits blooming year round, there is no relief from the pollen. Beware the rainbow state – bring allergy meds. I lived on Oahu for 13 years. It might just be that you were allergic to mold- that the place you were staying in had mold. Another place to stay might be fine. My husband and I lived in Kihei on Maui for a year. I got what I thought was bronchitis every few months. Apparently, it was allergies. My husband was fine most of the year but mid May to mid August he was severly ill from his allergies and asthma. I wouldn ‘ t so much call it ” allergies ” as I would call it ” polluted air ” . I ‘ m sure big cities are worse , the ones I ‘ ve been in are anyways , but Kihei is not the place to come for fresh air . If you had to be on Maui , I’ d suggest something Hana way , I ‘d LOVE to be there myself , but we ( gf and myself ) are not bohemian millionaires , nor are we locals , so nix that idea . If you have the money it ‘s the place to be …..
unless if you have problems with mold . In which case , Kaua ‘ i , and Hilo area would be bad for you …. they both have a very wet climate , as I ‘ m sure you know Hana area has as well ( although not nearly as wet ) . 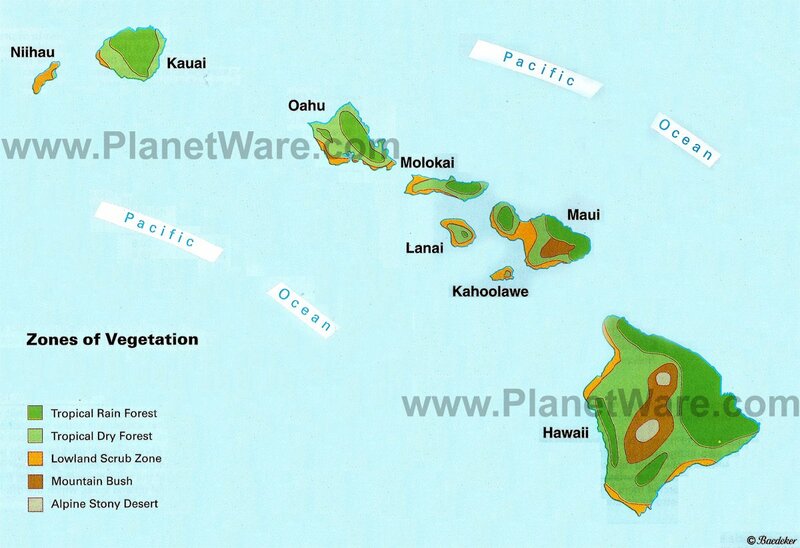 My ” best ” suggestion for you two , I ‘ d guess something on Oahu , away from the city for sure , maybe towards North Shore , although somewhere thats not tooo wet . Oahu doesnt seem to get the vog as badly ( although they did get a spell of it around the time of the World Series last year ) as islands that are closer to Big Island …..
by the way , your husband prob got sick between May and August because of the wind pattern at that time of the year …. pulling vog from Big Island . Lastly , I am a runner , moved from Minnesota , and the amount of stamina I ‘ ve lost in the year and a half that I ‘ ve been here ………wow . ( And I run at night mostly. ) They burned here on Friday and now several people at work ( today is Sunday ) are sick …… I guess my points are 1.) money always tries to blame people for their ” allergies ” as they are sickening people ; 2.) there are better places out here than Kihei. Kona is beautiful, but is not the place to be for asthma suffers. The State of Hawaii has failed its’ residents, as it failed to report the detrimental effects of asthma for fear of losing tourist or real estate business. As a result, our people have suffered greatly both economically and and physically. We went to Hawaii in 1997 and I became horribly ill. I am very allergic to mold, systemically, and am afraid to go back there. Can not find out anything on mold there, but am reading the blogs and think I should continue to stay far away. Does anyone know how to find out what the mold counts are? I’m on Maui now. Different grasses but the Waddle trees here leave enough pollen to coat a house! Shorter season than grass though, and not quite as bad. Cost of living here is killing me instead! I lived in the big Island and Oahu in the 90′s. Allergy Nurse, if you can handle the prices you might consider as a temporary fix moving to Oahu. It’s much more crowded than Maui, but I found it to be pretty good for me allergy-wise. We moved there as the mold in Hilo and the Vog in various places on the Big Island were too much for me. On Oahu I did fine. There were occasional days where I’d need to take an inhalor, but only a handful of times in a few years. You might also consider finding an environmental allergist who can help you build your immunity to allergies. These doctors are specially trained and more thorough than regular allergists. A good source for learning about this type of treatment would be to read some of Dr. Sherry Rogers’ books or google Dr. William Rea. He has a clinic in Texas and is big in the field. Not suggesting you go to Texas, but you can get the info on their site or from Rogers’ books like “Detox or Die” about how to find someone credible. Keep in mind you could have mold issues too, or even vog. You might think too of moving to the dryer part of Maui or Oahu where mold and pollen would be less. You’d still have access to the beaches, etc. Casey, the environmental allergy treatments migt help you too. I do have a friend who’s lived in Oregon for many years, he swears by the fact that no matter where in Oregon, it is very moldy and that could be what is affecting you more than the pollen. You need to be tested to see what the underlying causes are. If either of you had problems with mold or chemical sensitivities or there was something else depressing your immune system, it can manifest in greater sensitivity to allergies. Some other underlying immune issues could be: suppressed adrenals (read James Wilson’s book “Adrenal Fatigue”, underlying infections from dental cavitations or tooth, gum infections, sinus infections, use of steroids for asthma, arthritis also suppress immune function. Also having a plugged toxic liver is known as a great cause of allergies. Google “liver cleanses” and start reading about them. People have been known to get totally over allergies by doing them. Ideally you would do them under a practitioners supervision but you can do it on your own. You just need to prepare carefully and thoroughly. If any of you can find reputable alternative care that would be a big leg up to resolving some of these issues and Summer, you might some day be able to return to your beautiful home in the Hawaiian Islands. As per Arizona, I have heard very good things about it as far as being away from molds, that may be Summer what might have been aggravating your system. I hope this helps and I wish you all Aloha. I have been here for about % months and just this moth my nose has been running 24/7 and i have been sneezing like crazy, why? Same thing for me. No allergies ever in my life, and this is my 4th year on the Big Island. I never had a problem until recently. But since the latter part of 2012, I have been sneezing and my eyes have been itching like crazy. I suspect it's the vog. VOG. I sometime have itchy eyes, nose, & throat. I moved to Maui last August. In November I started having migraine headaches. Then in Jan. started shortness of breath that gradually got worse and worse. By late Feb Had difficulty walking a trail for shortness of breath. In April came the cough, with diagnosis of asthma & bronchitis. That one lasted about a month, was gone about a week and bronchitis again...to the ER. Did you read above that Hawaii has second highest asthma rate for children in the USA? A friend who lives here said the Big Island has high cancer rete for children. I want ro try Kauaii, and if no better...then I will leave this place that I love and only come to visit. Does anyone know if there is a lot of ragweed in hawaii, especially oahu? I am hoping to move to oahu, which would be impossible if there is, due to my horrible allergy. Alaska is the only state where ragweed can not be found in at all. Kauai has the least ragweed in Hawaii. Ragweeds such as Ambrosia can be found year-round in most parts of Oahu. Yet, grass and ragweed pollens are never seen in Oahu in large amounts. Thank you very much for the answer! I was looking for information about that all over the internet and wasn't able to find anything. good Now install the wifi device's motorist on your shareitforpcdl.com/ share it and take pleasure in new experience of nice. good could see your mobile internet browser. Locate the APK state Google Play Store App Apk downloader can be used to download the apk submits nice.